Stonewater has celebrated the start of construction on 14 new affordable homes on land next to The Holbrook Club in North Heath Lane, Horsham. The new homes, being built in partnership with Horsham District Council, will be part of housebuilder CALA Homes’ new 58-home development. Stonewater’s affordable scheme will be a mix of four one-bedroom apartments and four two-bedroom houses for affordable rent and six two- and three-bedroom houses for shared ownership. Stonewater’s energy-efficient homes will be built to a high specification and equipped with energy-saving facilities including low-energy lights, water-saving eco baths and rainwater-collecting water butts. Set to be built on surplus playing fields owned by the Holbrook Club, the development will trigger a new 25-year lease for Horsham’s premier sports and social Club, making it eligible for funding from various sporting bodies, and securing its long-term future. The scheme will also have a new access road and a pedestrian entrance off Jackdaw Lane. 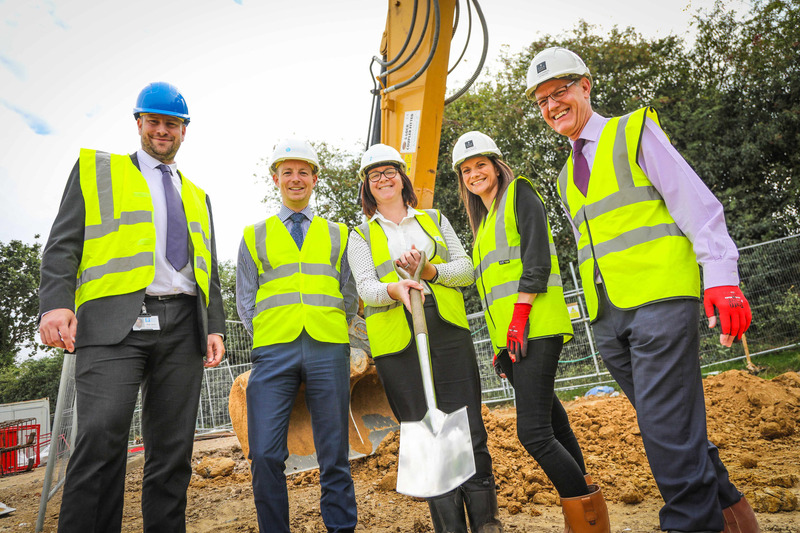 Pictured above from left to right: Rob Jarvis, Horsham District Council Housing Services Manager; Mark Bradbury, Thornton Firkin – Employer’s Agent; Lisa Wadhams, Stonewater Development Manager; Teresa Charlton, CALA Homes Commercial Secretary and Clive Emmens, CALA Homes Estimator. Stonewater’s new homes have good transport connections to Horsham town centre just over a mile away and are within a short walk of Littlehaven Train Station. Stonewater owns and manages 889 homes across West Sussex.